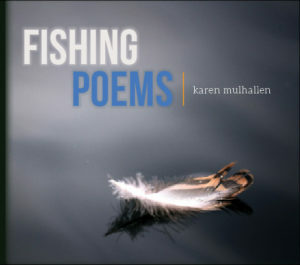 Fishing Poems by the renowned Desant magazine editor Karen Mulhallen concerns itself with the water, the lakes and the oceans, and the solitary pursuits like fishing which take us back to the beginnings of human life. Three experiences of the sea rise out of such storytelling and touch upon a host of characters, including children at a beach in Port Dover on Lake Erie and a 20th century fisherman named John Simple. Karen Mulhallen, described by Governor General’s Award winning novelist Douglas Glover as “a prolific poet, undersung, protean, brilliant,” masterfully weaves motifs of history and spiritually, and their connection to earth, water and fire into this stunning collection of poetry. This is Mulhallen’s eighth book with Black Moss Press.